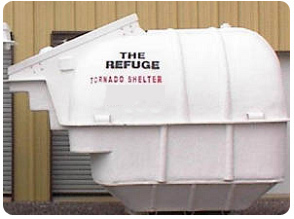 The Refuge Storm Shelters offer safe, comfortable shelters with extra head room and comfortable seating for six, eight, or even fifteen adults. 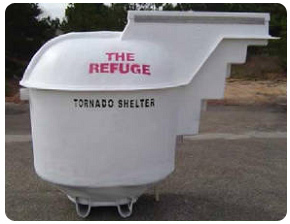 These shelters are durable fiberglass construction, mold/mildew resistant and waterproof. The Refuge 1 can comfortable seat up to fifteen people. With interior dimensions of 6'10" wide, 8'4" long, and 6'10" high this shelter is sure to keep even a large family comfortable during the storm. With seating capacity for 8 people, the Refuge 2 (also known as the patio model) is great for the family on a budget. With interior dimensions of 5' wide, 6' long, and 6'6" high this model has an excellent amount of head room for the tall members of your family. The Mini Refuge, with a seating capacity for up to six adults, is compact yet roomy and was build for places where space is an issue. 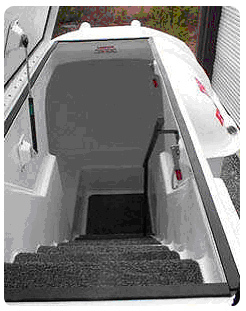 Interior dimension of 4'6" wide, 5' long, and 6'2" high give even this "mini" shelter the ability to seat the taller members of your family more comfortably than most mini underground shelters can do. 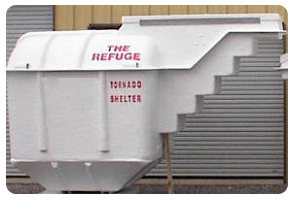 There is a "copycat" manufacturer of the Refuge on the market. 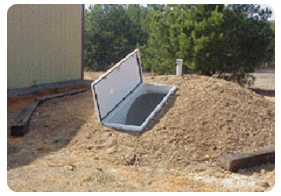 These copycat shelters are not the quality of the Refuge shelter and do not meet the safety guidelines. If you are looking at a Refuge, make sure it is the real thing. children from their own curious nature. 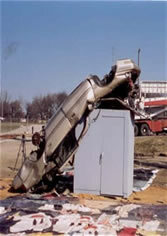 the door. 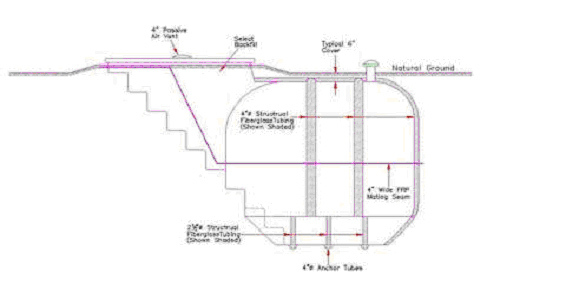 We can modify each safe room to fit the needs of you and your family. 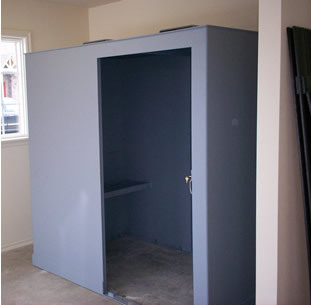 A Safe Room will keep your family safe from both the weather and intruders! 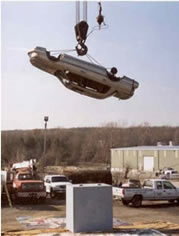 1989 Lincoln Contenintal dropped 40 feet onto shelter, showing the strength of our storm safe rooms. Not a dent or even a scratch!